Reaching the Hungry: Mexico Construction Day: Only 2 Weeks Away! 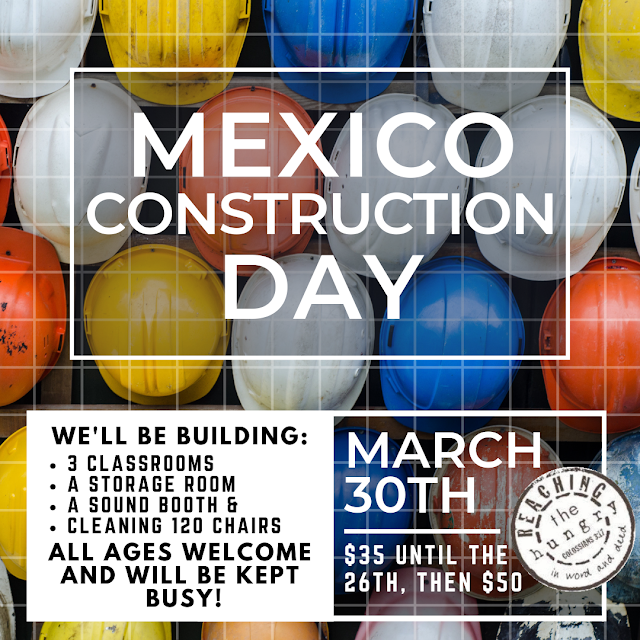 Mexico Construction Day: Only 2 Weeks Away! If you cannot join us this time, please consider a donation to help with the construction materials. Donate HERE! Help Needed! Join us for a day of building & construction to bless one of the churches we've partnered with for many years!